Beautiful places and things have a special way of provoking action towards creating. For an artist, it is as innate as acts of nature, like flowers blooming. Just like roses, tulips, or callas when it is in an environment to grow and blossom, it will bloom. A lovely afternoon spent at Everbloom Design with some of my favorite creative women, Kristin owner of Everbloom, Kim of KP Fusion, and Caitlin makeup artist and blogger, inspired the story of the Ever Bloom. 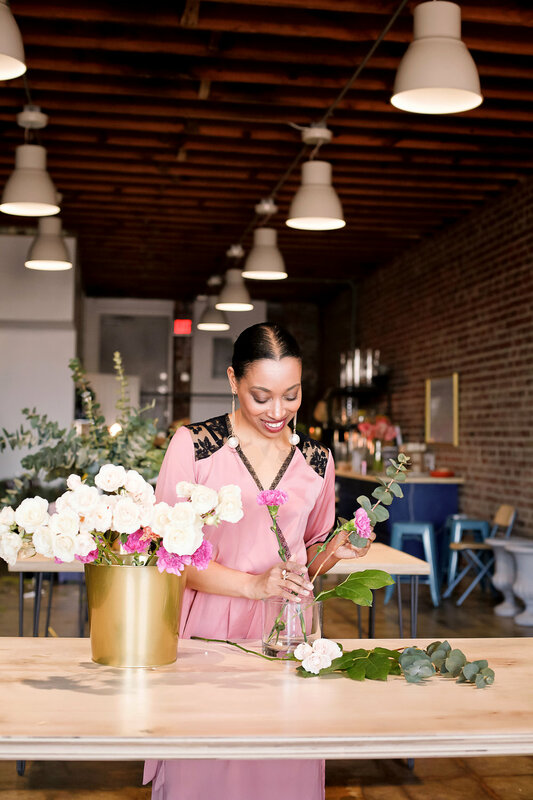 Everbloom has opened a breathtakingly gorgeous working studio, in the Broad Avenue Arts District, this month in perfect time for Valentine's Day. This awe-inspirng space will be where Kristin & The Everbloom team will host floral design classes and production for weddings and events. It will also be available for rent for other creatives to use for workshops, seminars, meetings, and gatherings. Join Everbloom Design this Saturday February 10th to see the new space and brighten your day with some flowers!!! There will be yummy treats from 17Berkshire and beautiful paper by local designer Lindsey Glenn.